Life in China is filled with opportunities to reconnect with old contacts and meet new friends. But what should you say to make a good impression, especially at special events? Check out this simple list of Chinese idioms, and you'll have something to say on any occasion! Well-wishing is an important part of Chinese culture, and is vital to conveying respect and building and maintaining social relationships. There are also a number of occasions in China when offering someone a respectful greeting is not only recommended, but may be seen as necessary by the host or organizer. These types of situations can include weddings, birthdays, holidays, meeting the in-laws, opening a new business, and many others. There are a number of forms well-wishing can take, and one of the more common is Chinese idioms: quick four character phrases with a lot of meaning. I have compiled a list below of some of the most common idioms which can be used to wish someone well. Learning several of these idioms will give any Westerner attending an event in China a big head start in terms of knowing what to say and making an impression on the Chinese. When using one of the below idioms, although they can be used on their own, it is more common to first begin by addressing the person in question and saying 祝你 (zhù nǐ), which basically means “I wish you (to have)…” This phrase can then be followed by any idiom on the list below. And while it is fine to simply use one idiom at a time, in China it is more common to use multiple idioms for a single greeting. While this not only confers more respect from a Chinese point of view, a Westerner using multiple idioms is almost guaranteed to make an even bigger impression with Chinese friends and hosts. For example: “zhù nǐ + idiom 1, idiom 2, idiom 3.” However, its important to understand that trying to use more than three to four idioms at one time might also be seen as showing off, even for a Westerner. So, its always best to keep modesty in mind as well. In any event, take a look at the idioms below for a sure-fire way to make an impression at a Chinese party or event! 早生贵子 (zǎo shēng guì zǐ): May you soon give birth to a son. 永结同心 (yǒng jié tóng xīn): May you forever be of one mind. 百年好合 (bǎi nián hǎo hé): May you have a harmonious union that lasts one hundred years. 互敬互爱 (hù jìng hù ài): May you have mutual love and respect. 白头偕老 (bái tóu xié lǎo): May you live together until your hair turns white with old age. 举案齐眉 (jǔ àn qí méi) May you have harmonious marital relations. 新年快乐 (xīn nián kuài lè): May you have a Happy New Year. 恭贺新禧 (gōng hè xīn xǐ): May you have a Happy New Year. 年年有余 (nián nián yǒu yú): May you have excess every year. 岁岁平安 (suì suì píng ān): May you have peace year after year. 新春大吉 (xīn chūn dà jí): May you have a lucky New Year. 开业大吉 (kāi yè dà jí): May you have the best of luck with your new business. 财源广进 (cái yuan guǎng jìn): May your wealth be plentiful. 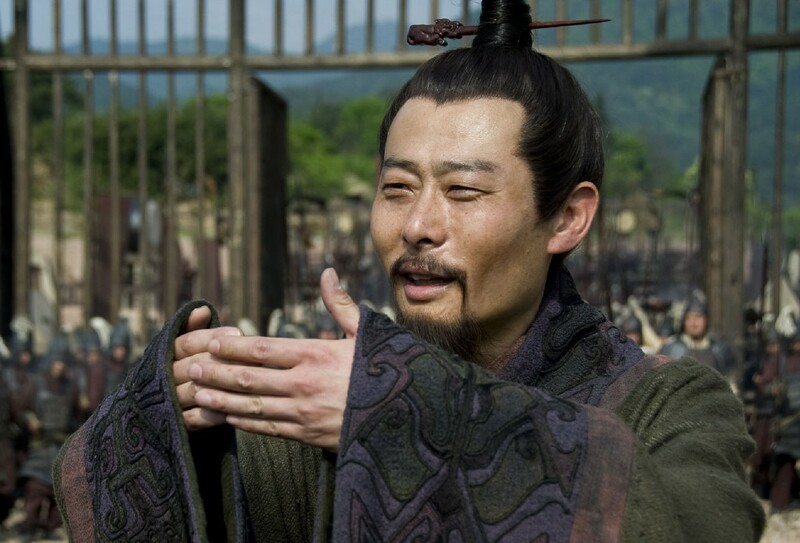 财源滚滚 (cái yuán gǔn gǔn): May profits pour in from all sides. 生意兴隆 (shēng yì xīng lóng): May you be endowed with a thriving business and prosperous trade. 和气生财 (hé qì shēng cái): May you succeed through harmony and friendship. 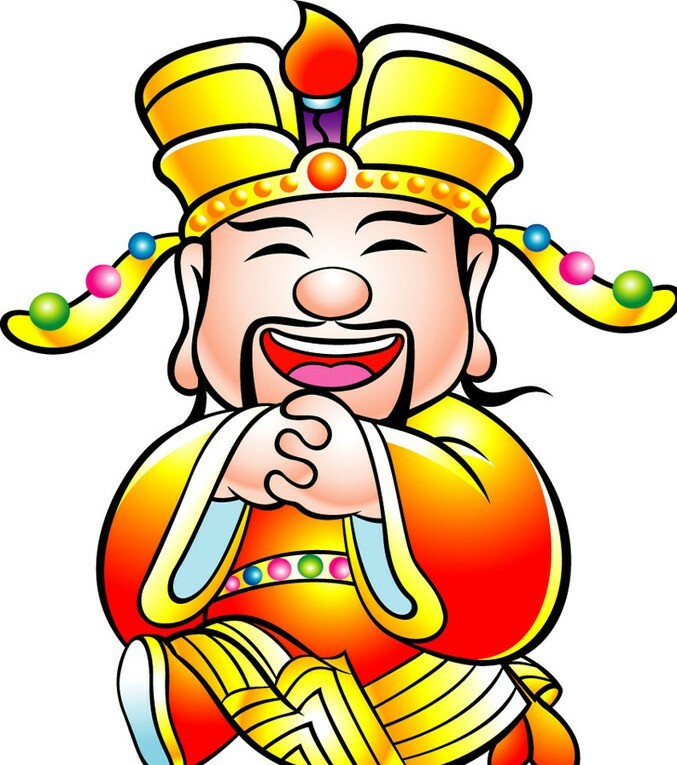 日进斗金 (rì jìn dòu jīn): May you earn huge profits every day. 招财进宝 (zhāo cái jìn bǎo): May you have wealth and success (also traditionally said during the new year). 长命百岁 (cháng mìng bǎi suì): May you live for one hundred years. 福如东海 (fú rú dōng hǎi): May your luck be as immense as the Eastern Sea. 寿比南山 (shòu bǐ nán shān): May you live as long as Mount Nan. 天伦之乐 (tiān lún zhī lè): May you have domestic bliss. 欢聚一堂 (huān jù yī táng): May you gather happily under one roof. 幸福美满 (xìng fú měi mǎn): May you be blessed and happy. 平平安安 (píng píng ān ān): May you be blessed with safety and peace. 团团圆圆 (tuán tuán yuan yuán): May you be blessed with unity and happiness. 步步高升 (bù bù gāo shēng): May you rise steadily (at work). 平步青云 (píng bù qīng yún): May you rise rapidly in the world (social status or career). 前程似锦 (qián chéng sì jǐn): May your future be as brilliant as embroidered cloth. 心想事成 (xīn xiǎng shì chéng): May all your wishes come true. 出入平安 (chū rù píng ān): May you have peace wherever you go. 一帆风顺 (yī fān fēng shùn): May you have smooth sailing (i.e. figuratively). 吉祥如意 (jí xiang rú yì): May you be as lucky as you desire. 紫气东来 (zǐ qì dōng lái): May “lucky air” come to your house from the East (used when someone moves to a new house). 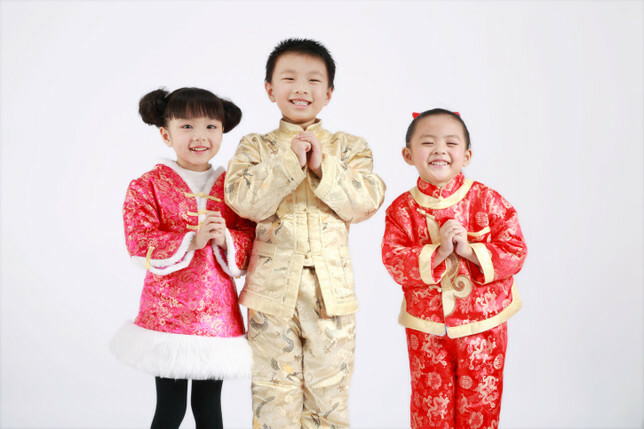 金玉满堂 (jīn yù mǎn táng): May treasures fill your home (can refer to children or money). The above 35 idioms should provide a good start, though it is always a good idea to try and pick up additional sayings based on individual needs. For example someone who does a lot of business travel would almost certainly want to focus on knowing 10-20 business related idioms. By contrast, a Westerner with Chinese in-laws would likely want to focus on remembering a number of idioms related to family and longevity. Keep in mind that there are hundreds of Chinese idioms which can be used for well-wishing. For those passionate about Chinese idioms, there are many more waiting to be learned! Do you have any questions or comments on common greetings or courtesies in Chinese? Do you have any experience you can share on occasion-specific greetings and phrases? Please feel free to post your thoughts in the comments section below. Just looking for wishings and inscriptions for the chinese callygraphy, so this one can be very helpful! Thank you a lot. Do you know where can I find more of these? This is awesome! Thanks Sean. 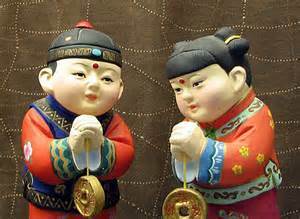 I will practice the good luck wishes for the new home when we close on the sale to a young Chinese couple. I think it will make them very happy on the occasion! These are awesome ! as a Chinese, I thank you for your effort. Glad you enjoyed them. If you know of any other idioms that would be useful for Western readers, please feel free to share them! If you have any other questions about communicating in the Chinese language feel free to get in touch via the “Contact” page. I’m happy to address more useful Chinese phrases in future articles. Previous Entry Happy Chinese New Year – 2015 is the Year of the Goat! Next Entry Share Your China Story with the World!